When it comes to design, many people believe that a ceiling fan is suicide. For years, designers have scoffed at them; some of the reasons being that they are noisy, out-dated, and tacky. 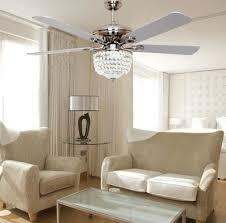 When a house is renovated, usually ceiling fans are among the first of things to be ripped out. When it comes to designing a room, the people living there often get into fights over it, because one person usually places style above comfort, and the other places comfort over style. Fans are great for a multitude of reasons. First, they allow you to control the temperature by room (something you’re not able to do with a central AC system). They’re more energy efficient. The best perk is that you’ll be able to save a fair amount of money every month on your electricity bill. However, ceiling fans have come a long way in the past few years. There are many choices that are very attractive, and do not produce any noise. The design of fans have come a long way over the years, and these days you can easily find some stylish options across a wide variety of price ranges. If you want to buy a ceiling fan, here are some tips to use for choosing the best one in relation to the design of the room. First, you’ve got to choose the right dimensions. Figure out whether the room requires a flush mount fan, or one with a rod. Down rods usually are reserved for homes with high ceilings. In terms of safety, fans must be hung between 7-9 feet from the floor. If you don’t want to purchase a whole new ceiling fan, you can try upgrading your existing one by painting it, or switching the light kit. Another option is to choose a fan without a light kit, and just have recessed lighting in the room with dimmers. Many people install fans themselves, but keep in mind, it can be a real challenge and you’ll probably end up frustrated. You can also have someone install it for you for a small fee. 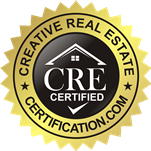 Depending on the company you purchase from, they’ll likely offer you a discount when it comes to the installation. Previous Post:After Purchasing Your New Home, What Bedding Should You Use to Furnish The Bedrooms? Ceiling fans are HORRID in terms of interior design. I get that you want to be comfortable while you sleep (as that is the purpose of the bedroom). 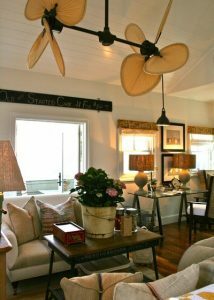 But the room never feels quite “complete” to me when there is an ugly ceiling fan instead of a pretty chandelier.